When one usually thinks about teaching abroad, the country that automatically comes to people's minds is Japan. Over the last few years more and more students have been going to South East Asia, finding great teaching opportunities in Korea and Taiwan. The Canadian embassy in Seoul does not maintain a comprehensive list of foreign-language institutes. Most positions are filled through either word of mouth or advertisements in the local English newspapers. Occasionally, the better institutes will hire instructors by advertising in the TESOL newsletter or by operating employment booths at TESOL conferences. They also sometimes advertise through university/college placement offices in the United States and Canada. The Internet is also being used to advertise jobs. Once you have arrived in Korea, it is a good idea to subscribe to one of the local English newspapers, the Korean Herald or the Korean Times. Both are published six times a week and cost 10,000 won a month; both are available in Seoul at most street newsstands, but outside Seoul they are generally available only by subscription. You can contact the Korean Herald at 82 (2) 727-0430 (fax: 82 (2) 727-0677), and the Korean Times at 82 (2) 724-2715 (fax: 82 (2) 736-7416). Overseas subscriptions are also available. A very useful English-language telephone directory, the Korean Yellow Pages are available for sale at most of the larger bookstores, as are other business directories. The American Embassy Foreign Commercial Service and the American Chamber of Commerce in Korea jointly publish a Korean business directory. All these directories contain a wealth of information, including the addresses and telephone numbers for universities and Korean government offices. The Korean Research Foundation produces a pamphlet on studying in Korea that contains information on all the universities in the country. KOTESOL is an independent national affiliate of TESOL, an organization of teachers of English to speakers of other languages. It was founded in 1992 by the amalgamation of two separate national organizations. KOTESOL is a non-profit organization, established to promote scholarship, distribute information and facilitate cross-cultural understanding among English teachers in Korea. It is a good source of up-to-date information on teaching in Korea. There are many different types of people teaching English in Korea. Some are professionally trained with degrees in TESOL; some hold graduate degrees in other disciplines and are teaching in Korea because they want to experience another culture; some are teaching English while doing other work, such as research; some are teaching English while looking for other jobs; and some are merely passing through. Most of these people bring their own unique expectations to their jobs, as well as their own individual reactions to the circumstances in which they find themselves. Some expect to be treated professionally and are shocked when they are not. Some expect to make a lot of money, but later realize that they are actually earning about the same as a unionized bus driver in Seoul. Some expect to receive a large Western-style house and are disappointed to find themselves living in very modest accommodation. Being aware of cultural differences and possible pitfalls before you start employment as a teacher in Korea will help you prepare for any disappointments you may encounter. Korean society makes a great distinction between an individual's inner circle of family, friends and business colleagues, and outsiders. Members of the inner circle must always be treated with absolute respect and courtesy, while strangers are treated with indifference. Korean society is not egalitarian: a person's status is strictly defined in relation to others. How do foreigners fit into this scheme? The simple answer is -- they don't. In recent years, fewer than 10 per cent of Koreans traveled abroad, and those who did were most often on group tours with other Koreans or on business trips. Thus, Korean society remains very inwardly focused. Many Koreans have never had a close encounter with a non-Korean, and most cannot communicate with foreigners. For most Koreans, foreigners exist only as stereotypes, and are not always liked. Living in Korea as a foreigner requires patience and fortitude. Most foreigners have found Koreans can be quite friendly and warm, but you should not expect to be accepted as a member of a Korean's inner circle. Most teachers in Korea, including ESL teachers, are treated with great respect by their students. However, it is also important for teachers to exhibit the personal qualities and behaviour that help to maintain that respect. A foreign teacher who acted disrespectfully would be regarded with great disdain by most Koreans, and would run the risk of getting into serious trouble with both his/her employer and the Korean immigration authorities. In other words, you should always act in a respectful manner and with discretion. As a foreigner in Korea, you will be very visible: you may find everyone around you watching what you do with great interest. Always remember that Korean society is much more conservative in many ways than North American society; you should try to be sensitive to cultural norms and expectations. Canadians should bear in mind that, culturally, Korea is a world away from Canada. Female teachers in particular have experienced problems with directors of hakwons, who often sexually harass them shamelessly. In part, this behaviour has historical roots in the late 1960s and early 1970s, when Korea, like Japan, relied on foreign women to work in bars and nightclubs. These women were not considered worthy of respect. Today, Korean men would view a single female travelling abroad and living alone as much freer in attitude than a Korean woman of a similar age; consequently, they may well think it is acceptable to make the approaches they do. Conversely, Canadian female teachers who have ended up living in a room in the home of their hakwon director have found themselves treated as an overprotected daughter, their personal lives constantly scrutinized by their employer. Neither of these scenarios is the norm, but they do occur. A Canadian female teacher should be aware of these possibilities before accepting employment in Korea. 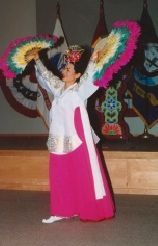 Korean society, like most East Asian societies, is extremely hierarchical. In Korea, the boss is the boss. Keep in mind that employees are not expected to question decisions made by their employers or to challenge their authority, especially in the presence of others. You should therefore be careful in how you deal with your employer. When discussing issues that might become difficult, you should make sure that you do not lose your temper, raise your voice or use disrespectful language. Neither the language nor the social mores of Korea are very precise. As a result, many things are left unsaid by Koreans, but are still understood. Of course, foreigners are often at a loss. It is important that you understand what is expected and required, and that any misunderstanding is resolved immediately. Otherwise, problems may continue to develop. The following advice on culture shock. You can find more information on culture shock and how to cope with living in a foreign country in DFAIT's publication Working Abroad: Unravelling the Maze. When first arriving in a country, one is usually excited and eager for new experiences. After a while, the newness wears off and homesickness begins. Do not be too hard on yourself at this point; it happens to everyone -- "I will never understand this place." "I want some real food ... some real friends ... a real apartment." "Why do Koreans do this or that?" It is usually just a matter of time. As you continue to cope with the realities of living in Korea, you will begin to take for granted things that used to annoy you. Life will become enjoyable enough that you will no longer care about the inconveniences. You will suddenly find that you like kimchi; you will realize that your students are interesting people and that helping them to improve their English just adds to that interest; you will begin to understand your friends who want to show you the Korea beyond the expatriate community; you will begin to try to learn some Korean and use it. There are many foreigners in Korea who came and stayed; they have carved out their own niche in Korea and want to stay for a long time. Many others, however, eventually reach the point where they feel it is time to leave. With luck, you will realize this before it affects your life too profoundly. It is time to leave when you begin to be negative about the country and its people. When you no longer want to go to work, you dislike your students, you become irritated with everything and everyone and have angry discussions with others of like mind, it is time to go. Just to reiterate: Canadian diplomatic and consular missions are not permitted to become involved in any case, conduct an investigation, or act as lawyers or mediators in any personal, legal or contractual conflicts experienced by Canadian citizens. They cannot investigate, certify or vouch for employers. It is up to each individual to evaluate a potential employer before signing a contract. The Canadian embassy in Seoul can, however, assist Canadians in a variety of ways. It offers notarial services, and also provides passport and consular services. It can assist in providing the telephone numbers of various Korean government agencies that you may have to contact. If you do find yourself in need of legal advice, the embassy can provide you with a list of attorneys; however, it is unable to recommend any specific lawyer from this list. Embassy personnel will attempt to respond to all your questions or complaints. Finally, all Canadian citizens are encouraged to register with the embassy. Registration allows embassy staff to contact you in case of a family emergency. If you have any further questions about teaching English in Korea, please contact the Consular Affairs Bureau of DFAIT at 1-800-267-6788 (in Canada) or (613) 944-6788. • Jobs Teaching English Listing of jobs available, agencies and organizations that hire to teach English in South-East Asia. • Living in South-East Asia Information on living in South-East Asia. How to find an apartmentopen a bank account and telephone account and much more. • Books and Links List of sites and books that will help you out in planning your year teaching abroad.